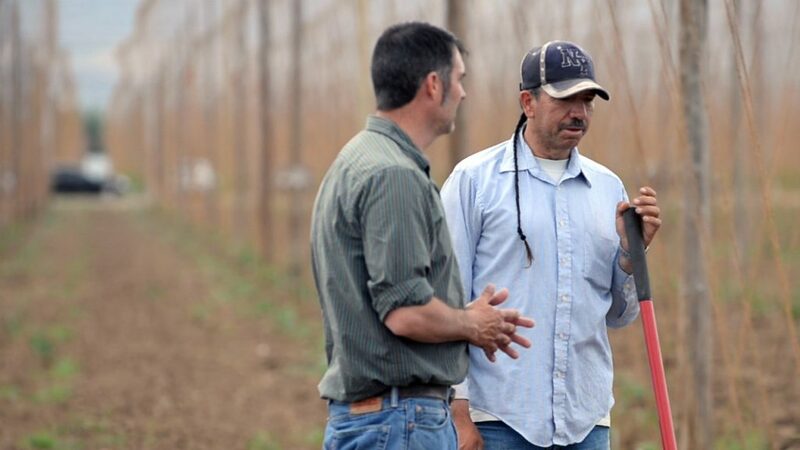 Virgil Gamache Farms, Inc. is a leading organic hop farm in the heart of the Yakima Valley. The Gamache family began farming in here in the Yakima Valley in 1913. They called their first farm “the Sunshine Ranch.” Here the company’s founder, Virgil W. Gamache spent his formative years. The family raised alfalfa, wheat, corn, potatoes, apples and grapes. With the end of Prohibition in 1932, the Gamaches lost no time in planting hops. In the mid 1940’s Virgil and his brother Francis took over the farm. Virgil eventually became sole proprietor. 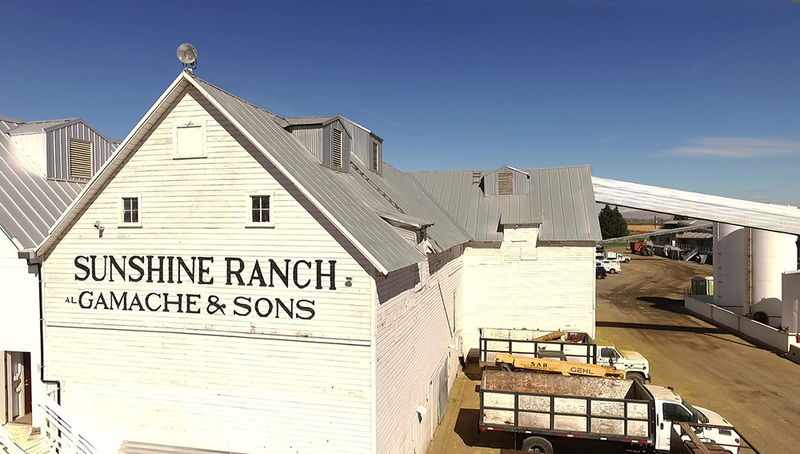 Not long after, Mr. Gamache incorporated the family business as Virgil Gamache Farms, Inc. The family worked hard over the years to bring this thriving organic hop farm to its ninth decade of production. The growth at the farm and the industry as a whole today, would no doubt astound even Mr. Gamache. Mr. Gamache himself witnessed the beginning of a new chapter for the farm. In 1997 the Gamaches discovered a brand new hop variety. The family designated this intriguing hop variety as “VGXP01,” in honor of Mr. Gamache. So with this new discovery, the family began to market the carefully cultivated, organically grown VGXP01 hops as “Amarillo® brand.” Amarillo® hops are hugely popular with craft brewers. Brewers apreciate Amarillo® hops for their complex and delightful aromatic characteristics, including citrus, floral, tropical fruit and spice tones. Thus, Virgil Gamache Farms and its Amarillo® brand launched a period of tremendous growth, paralleling that of the booming craft brewing industry. With that, the operation has grown from a small 15 acre ranch in 1932 to an organic hop farm of over 1,000 acres today. In addition, VGF, Inc.’s auxiliary production program produces under license an additionally significant volume of Amarillo® brand hops. VGF partner farmers grow Amarillo® hops all across the Pacific Northwest–in Washington, Oregon and Idaho–as well as multiple regions in Germany. VGF’s operations have not only grown in scale and geographic area, but also in creativity and in use of new technology. Originally hops were all cultivated and gathered by hand, with help from industrious native Americans and other neighbors. Today, the operation is highly mechanized and automated. In addition, VGF’s lab monitors hop quality to assure ideal harvest time. Thus, today’s VGF continues its relentless pursuit of producing great hops for great brewers, in a growing craft brewing community. In summary, while embracing the future we also honor our past. 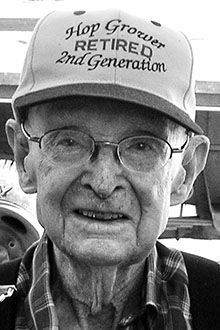 Our founder Virgil W. Gamache’s life-long love of farming empowered him to celebrate his 100th birthday. Though Virgil is no longer with us, his spirit of hard work and innovation lives on. You see it in his sons and grandchildren who continue the tradition. It is a tradition of excellence that defines Virgil Gamache Farms to this day. The Gamache family have a love for the Pacific Northwest. It began when great grandfather Albert Gamache first settled in the Yakima Valley in 1880’s. That love of the land is demonstrated in the sense of stewardship that guides the everyday work at Virgil Gamache Farms. An important way to respect the land is through organic farming. As a certified, organic hop farm, our best practices include composting and returning all vines and organic farm matter to the earth. We plant triticale, a natural grain ground cover, between the hop rows to protect the soil from erosion. The triticale crop returns organic matter to the soil as workers till it back at the end of the growing season. It also support organic hop farming by reducing the soil temperature and reducing the spread of wind and dust-borne pests. Finally, the Gamache family knows that water is a precious resource. VGF makes the most efficient use of water with drip irrigation. Wireless controlled water valves direct the limited water resources specifically where needed and in just the right amounts. VGF takes care to recycle everything, including motor oils and discarded metals. All these practices work to ensure the legacy of founder Virgil Gamache and protects our beautiful Yakima Valley.